Buying a house in Louisville, KY is a great experience that can allow you to take advantage of opportunities not available in recent years. The housing market in Louisville has seen inventories increase and prices drop making it a good time for home buyers to get into the market. In addition, Louisville's housing market has not seen quite the troubles found in other areas of the country. If you want to buy a house in Louisville, KY the first step is to speak to a mortgage lender and ensure your credit report, credit scores, and debt/income requirements are going to allow you to make a sound home buying decision. The next step is to contact a Louisville, KY real estate Realtor and partner with them to ensure your best interests are protected when buying a home. Kentucky real estate law allows buyer's agency, which means you can secure exclusive representation from a real estate Realtor who is regulated by legal and ethical guidelines designed to protect your interests. This is usually done at little or no cost to you! After finding a real estate agent, you should begin to search the internet for all Louisville, KY MLS Listings. Make sure you prioritize the homes you find by how well they fit your needs and wants, their location, and whether of not they have any additional features that add value for you. Now you can select the homes you wish to see the most and make plans with your real estate agent to preview them. After finding a house in Louisville that fits your needs best, then you can put in an offer and enter negotiations. When searching the MLS for real estate in Louisville, KY, please use the powerful real estate search tool I offer on my website. With the advent of free online real estate MLS searches, especially ones with an abundance of search options, the home buyer now has the opportunity to view a huge number of homes without driving all over town hoping to find a nice new home. I encourage my clients to do as much searching for real estate in the Louisville, KY area as possible online as it also helps me get a much better understanding of exactly what they are looking for in a new home. This improves our communication about real estate, lets me give them much better service, and makes the process of finding a new Louisville home fun. Make it a priority to do all of your searching for Louisville, KY real estate using the excellent MLS tool found on my website! When remodeling or purchasing a new home, there are many things to consider. Commonly used to insulate boilers and pipes, most homes built after 1980 could harvest asbestos or other environmentally defected insulation techniques. Environmental efficiency is on the rise because of technology and green sustainable methods progressing rapidly. Not only will these methods produce a healthier lifestyle, it will save you money! Prior to making the move, make sure your home has been inspected by professionals who know how to detect any type of toxic materials in the process. Improper insulation was used in millions of homes and while it is safe when enclosed or in good condition, deteriorated asbestos can cause a slew of health problems, such as mesothelioma and malignant mesothelioma. Asbestos is a form of insulation which is swiftly becoming obsolete because of environmental awareness and new protocols. Asbestos could be present in different forms in buildings built in the years 1930 to 1975. When involved in real estate, it is especially important to embark on the proper inspections to insure the safety of your clients, building workers and your reputation. Problems with asbestos in older buildings should be addressed in a rational manner. A good course of action is to identify materials which could harvest asbestos, mark the condition and establish a plan that addresses any negative condition in the building. Damaged asbestos can produce diseases such as mesothelioma, a cancer in which treatment is limited. If not caught on time, it can lead to malignant mesothelioma. Although it needs to be removed by professionals, it is worth price for a healthier, positive lifestyle. The Research and Development (RAND) organization has helped raise awareness and education for those affected and those seeking to avoid themselves the problem. With the help of think tanks such as RAND and other organizations, removal in work places and public facilities is on the rise. While remodeling of current buildings for better energy efficiency is a must, it does not come without its hazards. Older homes and buildings contain toxins and proper preparation is needed to avoid the breathing of harmful chemicals. Asbestos can be found in attics, pipes and ceilings. The Department of Energy concluded that cooling and heating counts for up to 50-70 percent of all energy used in the average home in the U.S. In today's state, this philosophy can also save natural resources. Environmentally sustainable insulations are made from recycles materials including cellulose, polyurethane foam and cotton fiber. Most people are unaware to the fact that eco-friendly products can cut energy costs by 35 % per year. Due to these recycled materials, waste is decreasing in crowded landfills. Proper insulation will save you on bills. Rather than expensive and mal-treated wood, interior walls can be made from steel and concrete, avoiding many of the problems associated with asbestos and other insulation methods. Currently, many cities in the U.S. have created lumberyards which re-store where you can purchase recycled building materials that are authentically strong and inexpensive. I want to introduce to you my new site to search the MLS in Louisville, KY for free! It has all of the home search features you have come to expect from my previous site, but it now loads and displays information much faster. To view the site and try it for yourself visit Search MLS Louisville, KY and begin to explore all Louisville, KY homes for sale. Keep in mind when using my site to search the MLS for your new home you should start with a very simple set of search parameters. Once you see what the system returns, then begin to refine the search to give you better results. 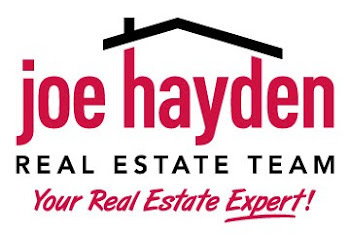 Searching for your new home in Louisville has never been easier! Let's take a brief look at credit scores, credit reports, and how these items affect your home buying power, plus your long-term financial strength. Three companies provide this information to potential lenders, and others who deem this information necessary; Experian, TransUnion, and Equifax. Also, it is a federal law that you be provided a copy of your credit report from these three companies once a year. Go to AnnualCreditReport.com to view your reports. First, your credit report is a compilation of your credit history related to things like credit cards, revolving charge accounts (gas card or Sears card), previous mortgages, student loans, car payments, etc. It contains detailed information on your payment history, whether or not you have any negative items affecting your credit, plus details of your personal information known by the credit reporting company. It is very important you immediately dispute any negative reports in these credit reports if they are incorrect, or take whatever steps necessary to correct the negatives if they are correct. Several items on your credit report will affect your credit score, the number that is supposed to represent to the lender the risk they will take on by loaning you money. The factors are, in no particular order, the length of your credit history (the longer they have data for you, the better), the length of time you have had your accounts open (again, the more time, the better), the type of accounts you have (variety is good), your payment history with your accounts (on time, never late is your goal), and the ratio of your debt to your credit limit (Even if you have a credit card with a $100 max limit, if you carry a $100 balance, you are considered 100% financed, and this is viewed as a negative.). Back in the days before free credit reports existed, I had an outstanding medical bill that went to an old address and was never forwarded that I did not know about until I made an attempt to make a purchase that required my credit to be pulled. This negative showed up because the bill had gone to collections. All I had to do was call the doctor's office, explain what had happened, pay the bill plus a small penalty, and they immediately reported the matter resolved to the credit reporting companies. I also followed up with the credit reporting companies and it took a few weeks of time for everything to stabilize, but the action disappeared from my credit report and I was able to again get prime rates. It won't always be this easy, but you have to do everything in your power to resolve all negatives if you want credit and the best rates. Another way to improve your scores is to get your debt ratios below 50% on your credit cards and revolving charge accounts. As I stated before, just because your balance is low in terms of dollars it doesn't mean that is a positive if your debt ratios are above 50%. Use your credit report to compare account balances and credit limits and devise a plan to get your balances under the 50% (25% is even better) debt-to-credit-limit ratio as soon as possible. This will definitely improve your credit score. Two more ways to improve your scores are to pay all of your bills on time, and not to have too many people pull your credit at any one time. There is some debate as to how much your credit score is affected by numerous pulls, and it seems to be less of a problem if all of the pulls are for the same thing, but your score will go down with every credit pull no matter what it is for. Don't go buy a car on credit, then the next week buy a TV on credit, then a house...Space your purchases out reasonably and monitor your credit scores to see when they recover from each purchase. Speaking of monitoring your scores, for a small one-time or monthly fee any one of the credit reporting companies will give you your credit score. It can be worth it to monitor your score as you prepare to buy a home to see what changes are improving your score and to have an objective goal to work towards to get the best possible rates and terms. I hope this post has provided you with some helpful guidance to first gather your credit report, correct any negatives, and then improve your score. If you think of the thousands upon thousands of dollars in interest this work could potentially save you, I think it is well worth the effort...Please feel free to contact me through Louisville Homes for Sale if you have further questions.